Whenever we ask, “What is love?” it’s usually because a) we’re unsure if a certain special someone really loves us, or b) because a certain special someone just accused us of not really loving them. It’s only when something is lacking that we begin to analyze and contemplate what that thing actually isSo, if we’re even asking the question, “What is love?” it probably means that we don’t feel completely loved, or that someone doesn’t feel completely loved by us. But since we’re asking, let’s try to answer the question. It is easier to first address the “What is love?” question in terms of the love we feel coming toward us. If we understand how to recognize when we are being loved, we can also learn to recognize our love for another. When we are loved, we tend to feel it intuitively in our guts. But how does it work? 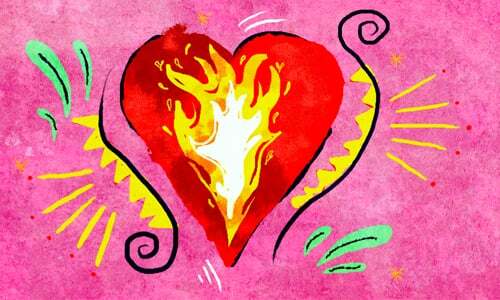 Is there an extrasensory perception in the heart that is able to read the feelings in another person’s heart? In short, when we are loved, there is tangible proof. It’s not an abstract thought or feeling, it’s concrete and evidenced. As King Solomon wrote in his book of Proverbs (27:19), “As water reflects a man’s face back to him, so is the heart of one man to another.” This means, when you are treated with love, your heart feels that love. Now we can address the second part of the “What is love” quandary—how to know if we love someone else? The answer is straightforward. When we behave lovingly towards someone, it means we love that person. When we ask a question like “What is love?” we assume that we’re trying to define an abstract concept similar to “What is freedom?” or “What is good fortune?” But truthfully, love is not a concept. It’s an action. To ask, “What is love?” is like asking, “What is running?” or “What is swimming?” If you’ve ever seen someone run or swim, you know exactly what running and swimming entail. In order for love to be real love, it has to be expressed as an actionThe Hebrew word for love, ahavah, reveals this true definition of love, for the word ahavah is built upon the root consonants h‑v, which means “to give.” In order for love to be real love, it has to be expressed as an action. If you love your beloved, then you must show it. By the same token, if you are loved, that will show, too. You will recognize it by the way you are treated. G‑d commands us (Deut. 6:5), “And you shall love the L‑rd your G‑d.” This precept leads us to voice the age-old question, “How can we be commanded to feel a feeling?” Either you feel it or you don’t, right? This is the true test: action, deeds, performance. 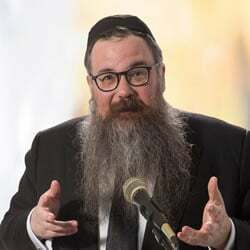 Rabbi Shais Taub is a noted speaker, author, and columnist, who serves as scholar-in-residence of Chabad of the Five Towns. His talks and classes may be seen on SoulWords.org. Sara below, mentioned that there are different kinds of love and that is true. But all kinds of love develop from only one kind of love, and that is the kind of love with which God commands us to love him. If we have that kind of love, then all of the other kinds can grow and develop from that one. But without that one kind, then there can be no others. Thank you for sharing these very deep thoughts! The true love is the platonic one. Has no damage upon anything you engaged in love with. If you have a relationship, you'll be granted with a glass. That glass is used on how much you've done on your relationship. You put sand whenever you encounter the best memories of your relationship. This quote below describes of what love is.